Let me preface this by saying I am not an expert in these matters, and nor do I claim to be – I am just a regular commuter who happens to be a train enthusiast also. The following is just my opinion on issues relating to CityRail following reading this article on the SMH. I suggest reading the article first. So CityRail is bleeding money at an astonishing rate – I don’t think that will come as a great surprise to anyone familiar with them. The Libs recognise this and want to do something about it – this is good. What is bad is the way they want to do something about it – it is the typical knee jerk reaction of “jobs must go” without analysing the underlying causes of the issue. That said, some fat can most likely be cut from the staffing also, but not necessarily where the Libs want to cut from. Now, if the article is to be believed (and let’s face it – the Australian media are about as reliable and accurate as CityRail is efficient and cost effective), in the last financial year CityRail employed 40 managers at over $240,000 a piece – that’s close to $10m per annum right there, and I imagine no one really knows what they do. Reports abound of layers of management, who only manage other managers … seriously something that needs to be looked at. Another item is the cited growth in staff numbers over the last seven years, but where are they? I don’t see them on the trains or at the stations. But of course the Libs’ main focus IS on the front line staff – the people who directly work to get you to and from work every day. The guards have been in a tentative position since the design of the Waratah, with no middle cabs, and cameras to monitor the doors. Within the community it was recognised this would be a step towards Driver Only Operation. But I ask you, do you as a commuter want only one staff member on the train, distracted by monitoring the cameras when they are trying to focus on driving? In case of emergency if you are at the back, and the only person to help you is at the other end, what happens? If something happens to the driver, such as the heart attack that caused the Waterfall tradegy a number of years back, who is there to help you? And for those in wheelchairs, who helps them on and off the train at short platforms where the driver’s cabin is past the platform? That last point may not sound like an issue when there are station staff to help, but most stations with shorter platforms are those with lower patronage, and therefore are the next target of the Libs. Again I do not like the idea of cuts in this area – imagine sitting in a remote, unattended station late at night when someone threatening approaches – it happened to me a number of years back at Arncliffe which isn’t even remote, where someone blocking the only exit was yelling abuse at me with no provocation, excepting that my skin colour was different to his. Ok so stations have help points, but by the time someone actually gets to the station to help you it may be too late. That said, some station staff can probably be cut, but not at the small stations. There is one larger station (which will remain unnamed) that most times I pass through have staff that sit around chatting to each other – it is clearly overstaffed, and I am sure there are other examples. These stations should be the focus rather than the smaller ones, as having unattended stations is a security issue for passengers. So, if we aren’t going to touch much in the way of front line staff, it’s back to head office, and back to unnecessary layers of management. But that is not the only area savings can be made. Judging by the regularity of anti-corruption roles advertised, I think it is safe to assume corruption is a bit of a problem, but at least they seem to be trying to deal with it – how much I wonder is lost each year though to corruption alone? And then there is trackwork – the work itself needs doing to ensure the ongoing reliability and safety of the network, and staff are needed to do it, but I wonder when equipment is hired from outside do they take into consideration the length it is required for? For a two day shutdown, do they hire for four days (allowing a day either side to get the equipment to and from the site), or do they hire it for a week? Is there equipment hired every week where the cost of hire is greater than the long term cost of buying outright? I think this sort of thing needs to be audited to ensure no wastage. Another clear, and costly area of wastage is the government itself – well the previous government, but I doubt this one will be much different. The highlight of this was the Millenium Train debacle – ordered in three tranches. When the first tranche started coming into service, they were rushed in I suspect for political purposes as they were already a couple of years late. 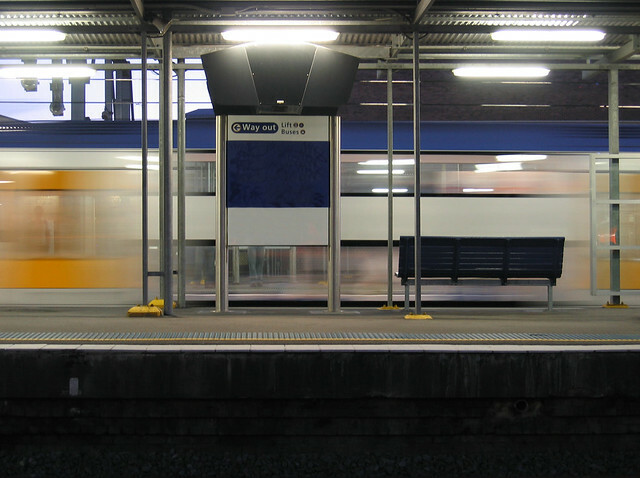 Being rushed into service meant the bugs hadn’t been ironed out yet, and there were very well publicised failures – the most memorable probably being one set blocking Milsons Point during peak hour because a set of doors wouldn’t close properly. This was entirely avoidable, and at least CityRail seemed to have learned their lesson by phasing in the OSCars and Waratahs more sensibly. BUT, whilst the government did go ahead with the second tranche, they cancelled the third even though by this point the Milleniums were reportedly proving to be the most reliable in the fleet – the only justifiable reason for cancelling the third tranche was that the government had already had to bail out the project, but after investing so much money already the real reason was more likely political, as they had bad publicity at the start. So, a few years later, and we need more trains – OSCars are coming in but aren’t configured for suburban work, so the government put out a new tender – the tender goes to Downer EDI who built the Milleniums, but instead of ordering more of the same (and I will say it again – reportedly the most reliable in the fleet) where all the R&D is done, they insist on a totally new design adding who knows how much to the cost of the project. A different fleet also means less sharing of parts adding to the ongoing maintainence costs. As the Waratahs start to come on line, there are reports of another bailout being required … is it Downer EDI that’s the problem here, as I don’t recall hearing this sort of thing regarding the OSCars (built by UGL)? My favourite part of this article is that (in reference to the government becoming the sole shareholder) “Sources said the Treasurer, Mike Baird, was expected to sell the negotiated deal as ”an investment” for taxpayers because there would be an immediate return on the money from 2018 through a 30-year train maintenance contract Reliance has already signed with RailCorp.” – so even the Libs are into creative accounting as technically they will be paying themselves – I don’t see any investment for there. So, Libs, the ball is in your court to ensure future rolling stock purchases are properly scoped out, that the manufacturer doesn’t have a history of requiring bailouts (a shame, as I like the Millenium’s build quality over anything else in the fleet), and that excessive requirements and changes aren’t put on the manufacturer when an existing design is proven. You can add to this sort of thing the previous government wasting tens of millions of dollars on a study to say what every man and his dog could have told you – that a metro from the CBD to Rozelle wouldn’t work, and wanting to later extend it through an area where the most populated areas couldn’t have stations due to agreements signed with operators of pieces of motorway. 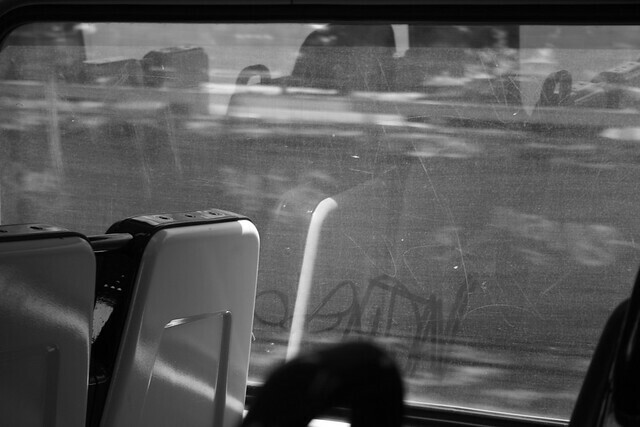 CityRail is a service, not a business. 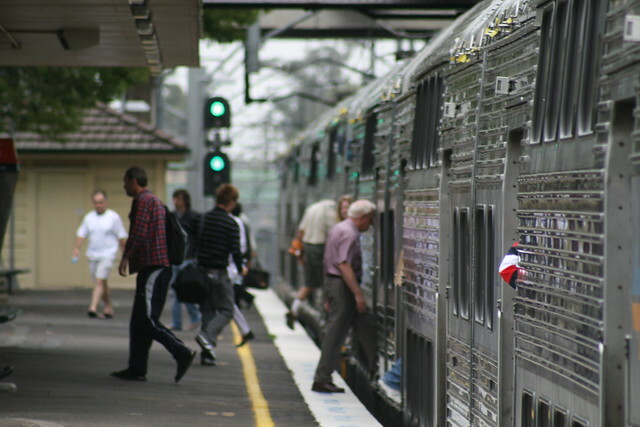 Yes, there are aspects of big business that can be carried over to services such as CityRail, but you need to to remember what it is there for in the first place – in this case to get passengers from A to B safely, quickly, and relatively comfortably. As a side note I might add I am a passenger, not a customer – passengers are by default also customers, but the very fact the CityRail call us customers now shows they have forgotten the service they are there to provide. 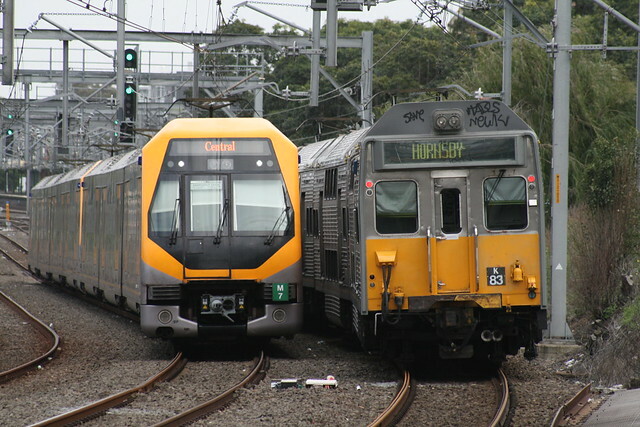 As much as they need to cut costs, I think over the longer term CityRail will never break even let alone be profitable – the sizeable, aging fleet (though the Waratahs will help there), combined with a vast network with poor alignments and slow travel times will always ensure that. Add to that the Sydney/New South Welsh mentality that a journey must not involve interchanges, and the expectations that “Intercity” rolling stock must be maximum comfort at a low ticket price, and they are screwed. There needs to be more investment in infrastructure also to increase capacity and draw in more passengers, such as a second city/harbour crossing and extending the line from North Sydney out Manly way, but of course it is cheaper to run buses so that will never happen. A possible solution is not privatisation, but to nonetheless get a third party in (most probably from overseas) that knows how to run a large network like this efficiently.